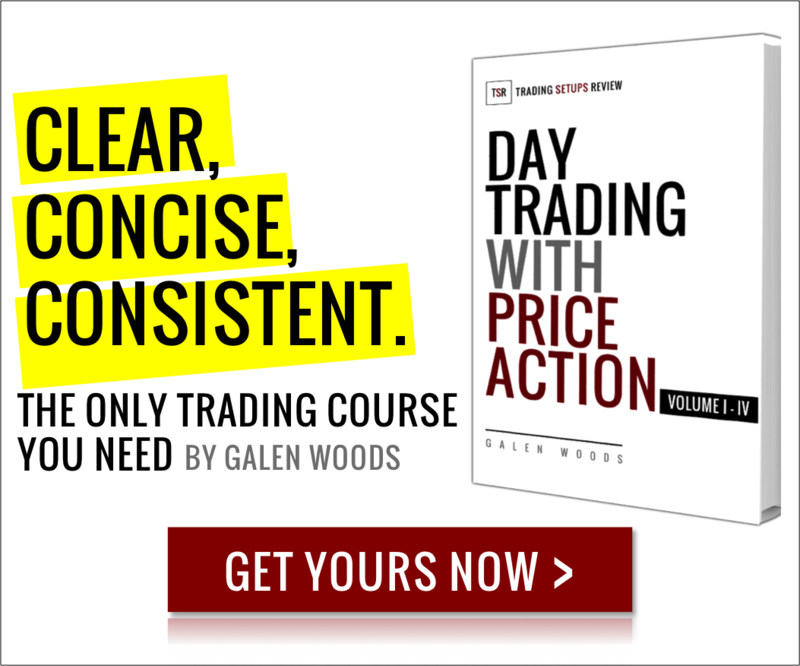 Dan Chesler discussed this candlestick trading setup in the Active Trader Magazine in April 2004 (“Trading False Moves with the Hikkake pattern”). Hikkake means to trap, trick or ensnare. This trade setup seeks to profit from false breakouts. When the Hikkake setup came along, the price went south and stopped out the bulls. However, the hope for a reversal was strong and prices went back to test our entry price two bars later. When that test failed too, the downwards trend continued. Next, for a short Hikkake to succeed, we have enough traders betting on a bullish breakout of the inside bar. However, as both the inside bar and the bar before it was bearish, traders were unlikely to bet on a bullish breakout. Moreover, it looked like a double top, which again deterred bullish traders. Without bullish traders trapped, this short Hikkake did not look good. The inside bar has a smaller range and hence a smaller risk. This low-risk inside bar opportunity tempts many traders. 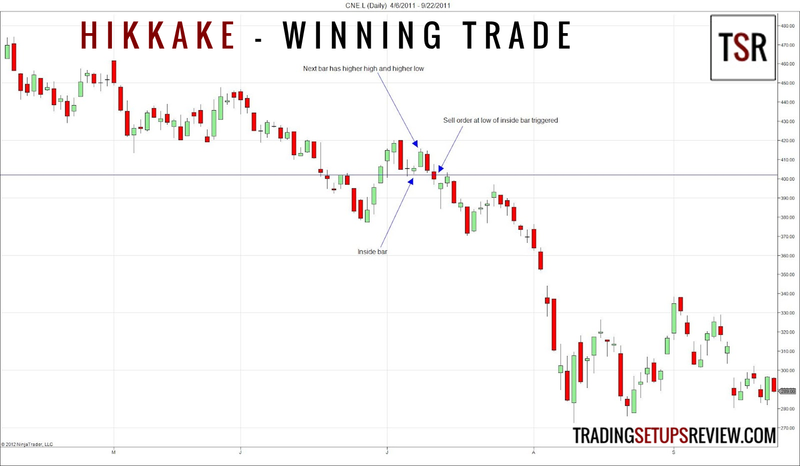 The Hikkake pattern then sets up to enter when these traders have to exit with a loss. Understanding this concept of trapped trader will help you find the best Hikkake trading setups, which occurs when the price has trapped many breakout hopefuls. Need help learning the patterns? 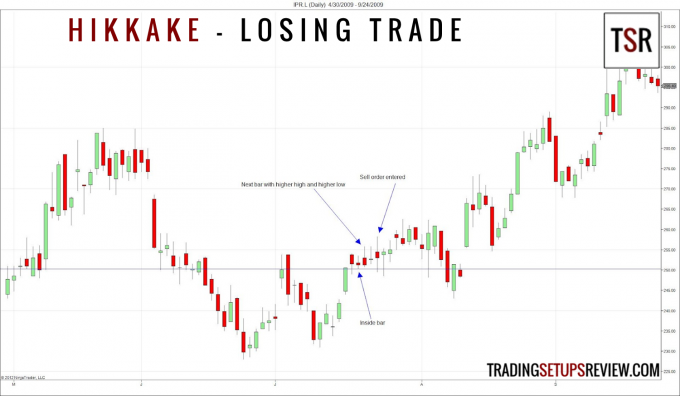 Get a NinjaTrader indicator for five price action patterns including Hikkake here. I do like trading inside bars, they can be very profitable. As the article states, the context in how they form is key. I learnt that just trading an inside bar for the sake of it, was never a good idea.